Any Longmire fans here? (I know there are!) 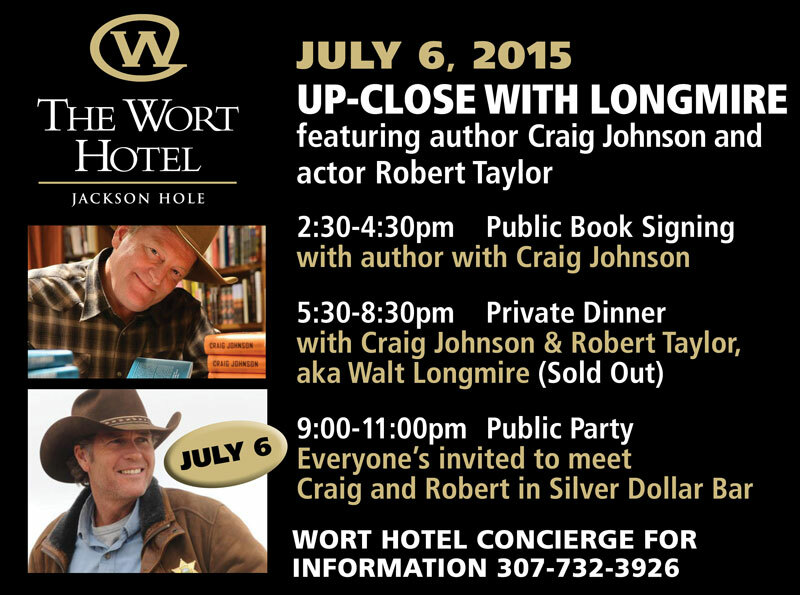 Just a heads up: If you can mosey on up to Jackson Hole on July 6th, you can rub shoulders with Craig Johnson, author of the popular Longmire series, AND with Robert Taylor, who plays Walt Longmire in the hit TV series. Yep, not kidding you. #BoyHowdy Don’t say I didn’t tell you!